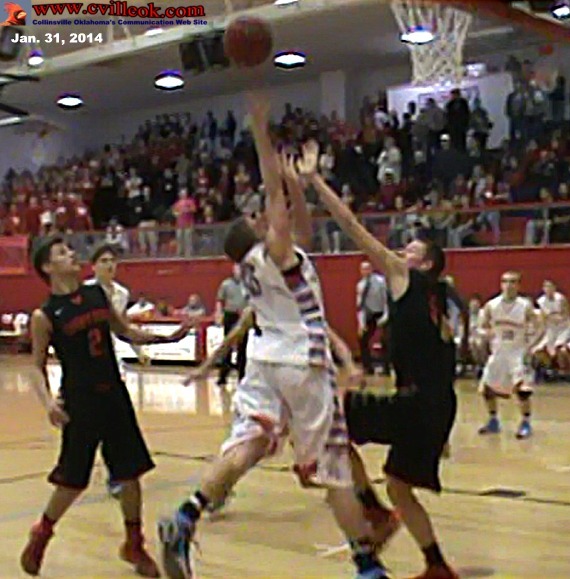 Kanyen Cole hit this bucket with about 10 seconds left in the varsity boys game to put Collinsville ahead at 46-45. Skiatook missed their final shot ensuring the Cardinal win. Note: The varsity boys game was yet another classic Skiatook-Collinsville rivalary game thriller ... but a bit short of Reece Montgomery 3/4 court buzzer beater or T.J. Johnson football catch on the final untimed play of the game exciting. 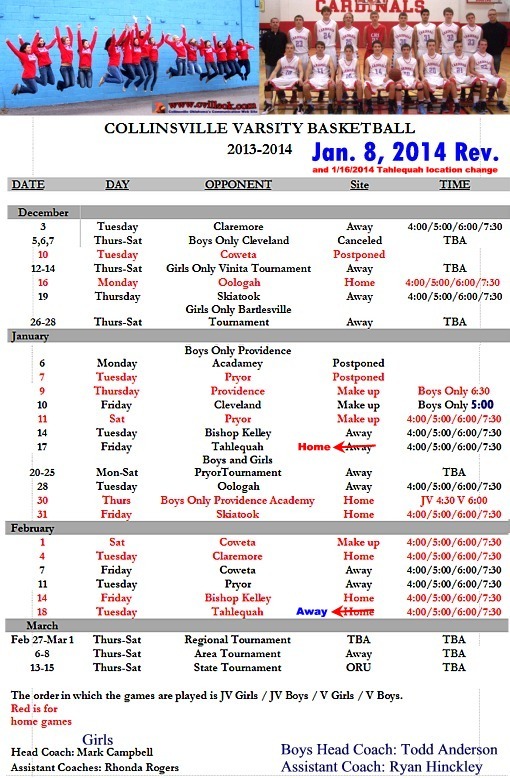 The JV Boys ended regulation tied at 27-27. Collinsville scored first in "sudden death" overtime for a 29-27 win on a Sam West basket. Howard Ray (left) and Ray "Blackie" Henshall will be honored at the 2014 basketball homecoming ceremonies Feb. 14th. Half-court shot attempts (at halftime).